Recap – August 2017 : Squad – Communicate. Coordinate. Conquer. August was a bit of a quiet month, as OWI was exposed to sunlight as a group outside of Vancouver. Fully rested and recharged, we’re back at it — you may have noticed the Unreal Engine 4.16 update in the 9.8 patch. We’ve been building on that groundwork and have some cool stuff to show off from August. Are you ready to see how the new animation system is shaping up? Dig in! Animation System Update – Almost there! The capture data from our motion capture session we did last month with Animatrik is also being implemented into the new system, breathing new life into our characters as they traverse the battlefield. Please be aware that some of the MOCAP data still needs refinement by our animators and speeds adjusted by game designers. Bipods are a feature coming first to Light Machine Guns, enabling players to set up on any flat surface ranging from window ledges, walls, tables, and more. Players will enjoy a dramatic increase in stability and accuracy to their weapon. Also, reloading while deployed is faster as the weapon is supported allowing swifter manipulation of the controls. Seen previously in earlier recaps, this system will be coming in with the new Animation System, and it will allow players to traverse obstacles up to chest height unaided. Depending on the thickness of the obstacle, you will either vault right over it or, if there is room to stand, climb on top of the obstacle. In this first iteration, it will be bound to the standard jump button. 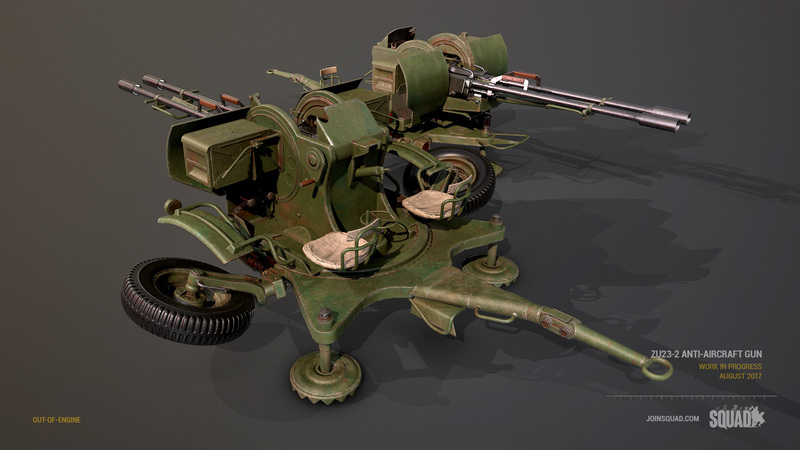 Featured in the last recap, Adjustable Sights are to be added to all Grenade Launchers and Anti-Tank rocket launchers. 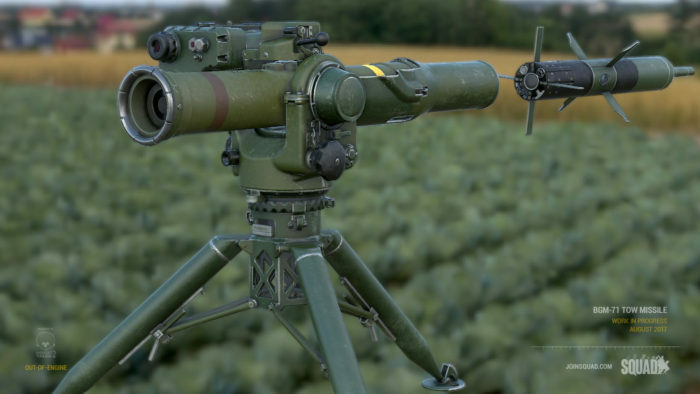 These allow gunners to more effectively hit targets out at further distances (as the sight wouldn’t be obstructing your view), as well as offering some unexpected uses, like turning the Russian GP-25 Grenade Launcher into a pseudo-mortar. Players will have the ability to sprint while crouched, effectively being able to move while under cover. This action though typically consumes more stamina than normal sprinting and isn’t as swift as sprinting normally. Quacking while moving is optional. Also featured in one of our first peeks at the new Animation System, Free Look will allow players to decouple their view from their weapon and look around without penalty. 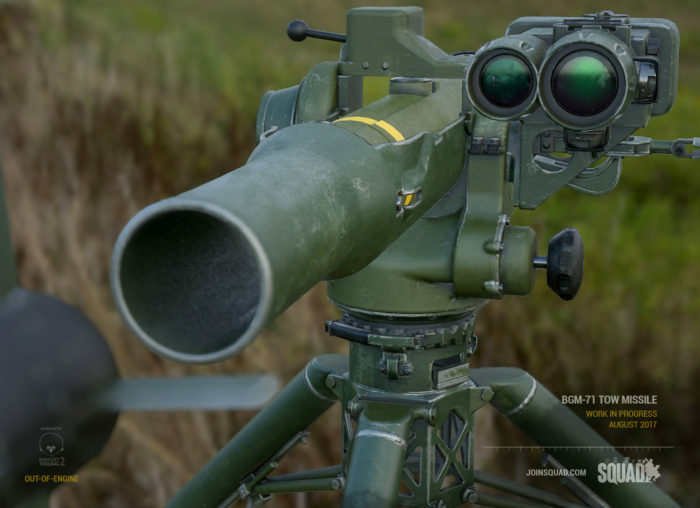 This is particularly useful when operating deployed light machine guns, where it will enable you to check your flanks while still keeping your weapon readily pointed downrange, as well as admire your newly deployed bipod. Typically a feature found in more mil-sim style games, we decided to include it as we felt it was in line with the tactical nature and pace of the game. 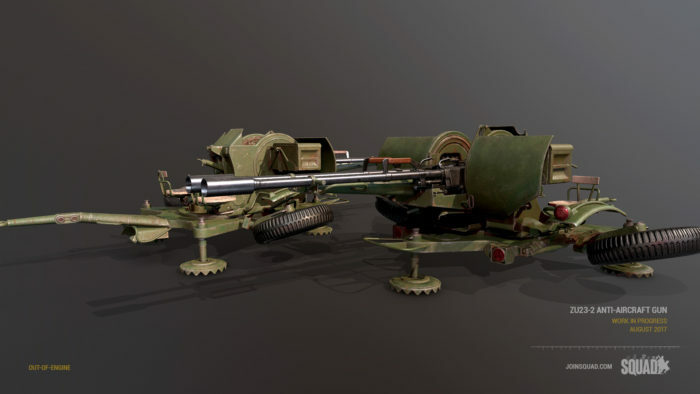 One significant change we’ve done to our weapon system was to allow for the seamless transitioning from part of one weapon to another part, such as with a rifle and its under-barrel grenade launcher. Another useful appearance is found while switching ammunition types, where the player can now seamlessly switch from one type to another. 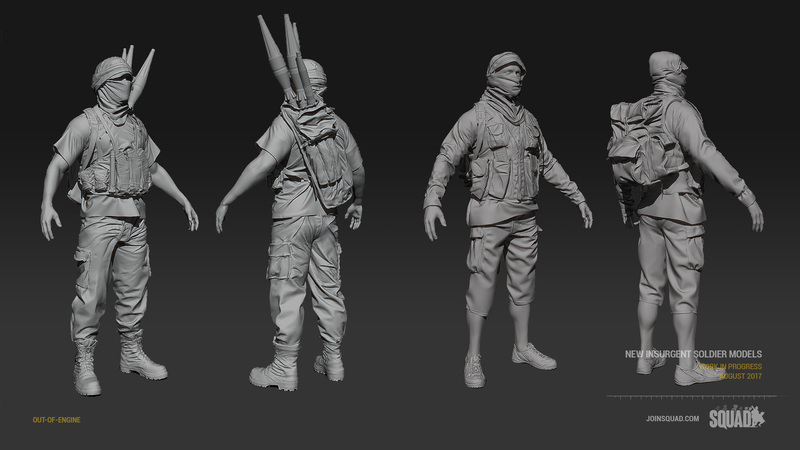 Our original take on the Insurgent faction is finally taking shape! 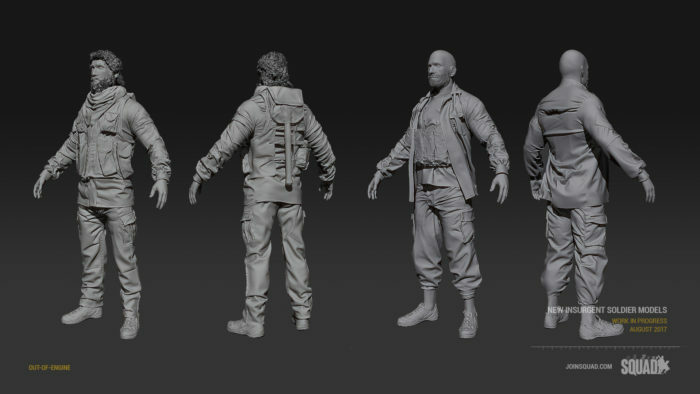 Donning a variety of civilian and surplus military apparel, this faction should look a lot more rag-tag in the field than our current set, as well as look a lot more high-fidelity. These still have a little ways to go, but expect them to come in a future version. A staple of infantry since the ’70s, the M240 is one of the first GPMGs coming to Squad, featuring the deployable bipods. They’ll be made more fearsome by Suppression overhauls in coming patches. Look forward to each faction getting their own GPMG! With more vehicle options coming in the future, more anti-vehicle options are coming alongside them. 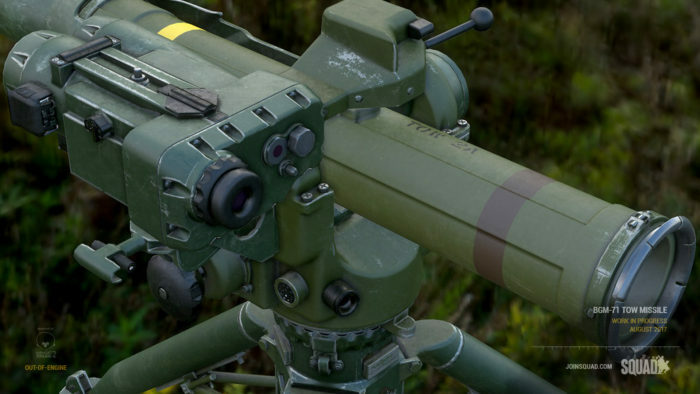 Enter the BGM-71 TOW Missile, a familiar sight on the battlefield. 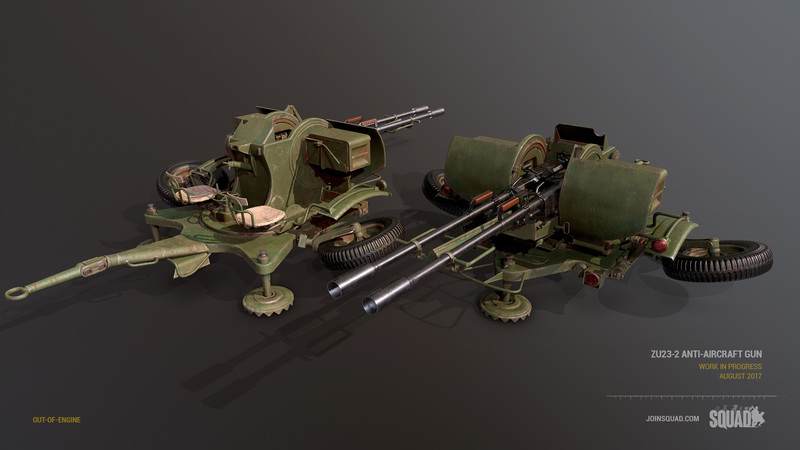 A revisit on an asset we showed off in May, the twin-barreled 23mm Anti-Aircraft Gun has been completed art-wise and is soon to be ready for implementation once the other parts of our plan for more diverse vehicle assets are done. More barrels are better. All in all, not a bad month! We truly can’t wait to get the new animation system into your hands, especially to see what sort of mayhem you folks muster up with those grenade launchers. Stay safe out there!